Every second, there are 2.3 million searches performed on Google and the top results shown are from paid advertisements. Google ads are extremely effective for capturing relevant search intent for your product or business. It is also a great way to appear on the first page of Google. 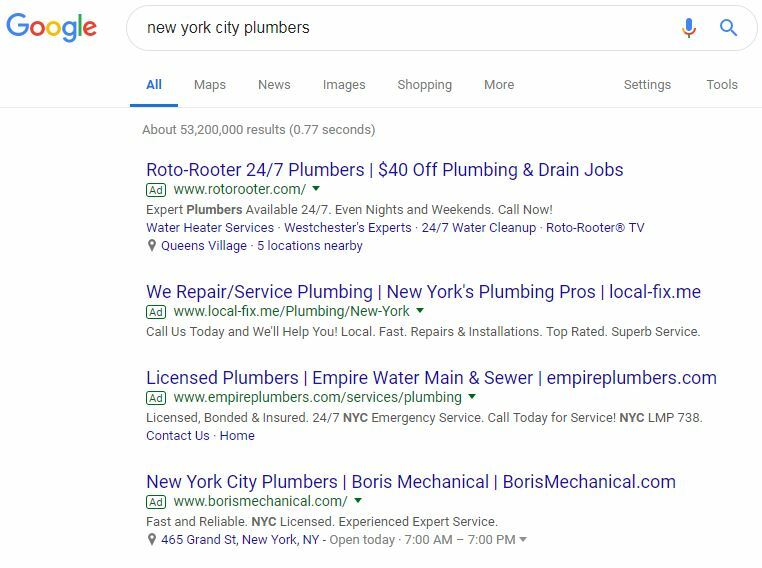 Google Search Ads are advertisements that are triggered to appear when a user searches for a specific keyword or phrase. They are located on the top of the search results before the organic listings show. This makes it extremely attractive for gathering clicks due to their prominent position on the SERPs. If you’re ready to implement a complete Google Search Ads strategy, we’d love to talk with you. Contact us for a free strategy session to discuss your new or current Google Ads campaign.